Our Sri Lanka venue offers the European Aviation Safety Agency (EASA) Part 66 Engineering examinations. The exams are conducted by the British Council working in partnership with CAAi, UK CAA and CINEC and delivered at CINEC. 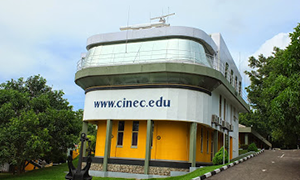 The Venue is open to all candidates, however if you are not a CINEC student you should contact info@cinec.edu or call +94(0)112 413 500 or +94(0)114 486 400 to request to sit at this venue. This portal allows candidates to book, pay and amend examination bookings online at the click-of-a-button.